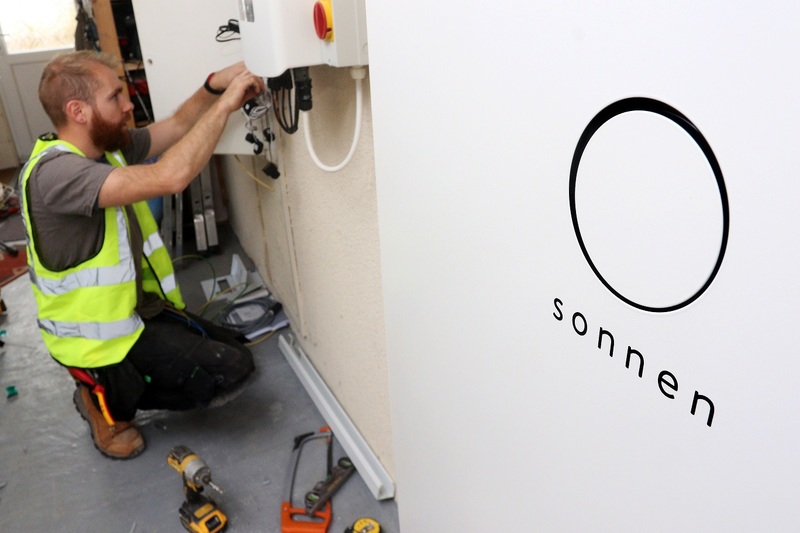 Installations of sonnen's latest generation of batteries, including the series 9 hybrid units, are underway in Cornwall alongside 300kWp of new residential solar capacity. Image: Centrica. Installations of solar and battery units are underway in Cornwall as part of Centrica’s Local Energy Market (LEM), with some of the 100 participating homes to be the first in the UK to use sonnen’s latest hybrid batteries. 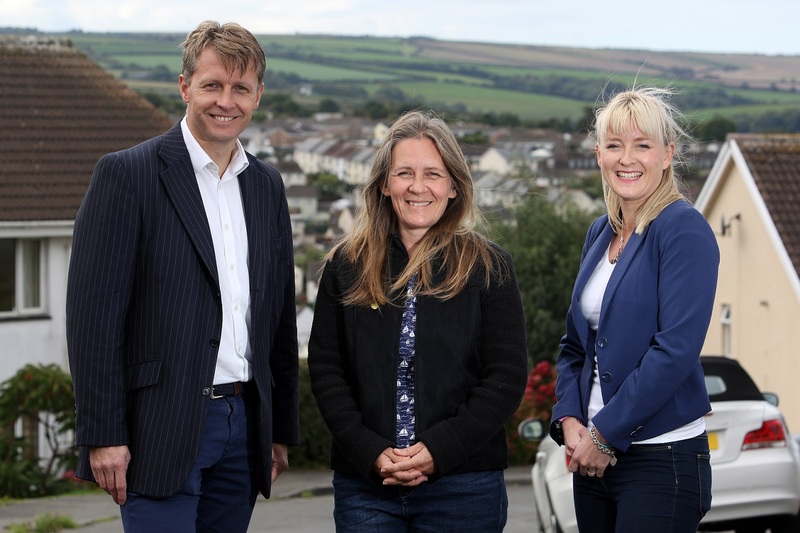 The roll-out of technologies in Cornish homes comes almost two years on from the launch of the £19 million project, which seeks to build and test the capabilities of a virtual marketplace of distributed energy resources. It will allow participants to trade energy and flexibility to the grid and wholesale energy market while reducing the energy bills of those taking part. Sonnen was selected as the technology provider for the residential stream of the project following a competitive tender process in which it fought off competition from seven other firms. It has contracted SunGift Energy to complete the installations of around 700kWh of battery capacity across 100 homes, alongside 300kWp of new solar PV systems to be installed on an estimated 60 homes. The LEM will see the new ninth generation sonnenBatterie units installed across the roll-out programme, with the hybrid iteration to be installed in the homes where new solar PV is to be installed. This enables the arrays, using panels from Hanwha Q Cells, to be connected directly to the battery units without the need for a separate inverter. Gabriel Wondrausch, director and founder of Sungift, told Solar Power Portal that the company was looking forward to working with the new technology for the first time. "It's always exciting having new products with new capabilities [and] to be at the cutting edge on technology. It's good to see the industry moving at such a pace,” he said. The sonnenbatterie eco 9 AC-coupled units will be used in those homes with existing solar, with all installations estimated to be completed by January 2019. This timeline is not set however as the various types of Cornish homes involved in the project, as well as the standard of existing installations, require some flexibility to be rolled in to the deployment schedule. "The thing that's really interesting for us and what we try to specialise in as a company is understanding site specifics and project goals and making the two things happen. With a project like this, that's quite tricky because of all the different types of houses and existing systems and all the different requirements for the project. Every single system is going to be designed and bespoke to meet the project goals,” Wondrausch added. "I feel like we are involved because we've got the experience of understanding those complexities. The houses vary massively as do the older installations in their standards." Once in place, the batteries will be controlled remotely via a digital aggregation platform being developed by sonnen’s e-services subsidiary. This will allow the power stored in residential batteries to be supplied to the Western Power Distribution and other participants when it is needed, increasing supply and reducing demand during peak times on the basis of price signals from the market. According to Martin Allman, sonnen’s country director for UK & Ireland, this element of the project will allow the company to build on its experience of using sonnenCommunity, which allows households to share their collective power across a community of battery owners. He told SPP: “Without doubt one of the most exciting elements of the project for sonnen is the opportunity to develop the aggregation platform, making use of the experience and models that have been developed in other markets. Martin Allman, sonnen's UK & Ireland country manager, with Suzanne Schutte, the first Cornish resident to have technology installed and Centrica's Donna Cooper (right). Image: Centrica. Once the installations are in place and the model behind their use is proved out, Wondrausch added that the projects like Centrica’s LEM will likely grow, taking in a range of industry stakeholders. "Storage is proving to be much more interesting than just the storing of solar energy and that's really exciting. So I see projects like this really becoming much more commonplace once the model's been proven and it's really interesting to see how the different players are going to take part, from residential customers to large energy suppliers like Centrica,” he said. This view is supported by the high levels of engagement in the project, which attracted interest from around 300 households seeking to take part that were whittled down to the 100 selected. In addition, around 35 businesses have also signed up to receive a wide range of technologies and solutions appropriate to their specific needs, not just solar and battery. The Olde House, one of the first businesses to take part, saw its 1MWh flow machine energy storage system connected in November, which is expected to cut its reliance on grid imports in half by time shifting excess solar generation from the sites two arrays. Donna Cooper, Centrica’s residential energy project manager for the Cornwall LEM, said: “Everyone in the project team was overwhelmed with the interest that we received from people across Cornwall and are delighted that they have embraced what we are trying to do here.